Italy was unified as one country from fractured regions in 1871 when King Immanuel's troops entered the city gates, which was still the Aurelian walls in use since the second century AD. As part of this process, power was transferred from the Church to the new government which made Rome the capital once again. Prior to this new rule, the church had restricted most trade, so when the Church lost power, commerce opened up. On top of which, as the government was constructed, thousands of jobs were created in civil service and large numbers of government buildings were built. This building boom required 1,000s of workers which also contributed to the economic boom. In the beginning of their statehood, no plans or regulations were in place for building which resulted in poor housing standards, congested areas and very little transportation infrastructure. 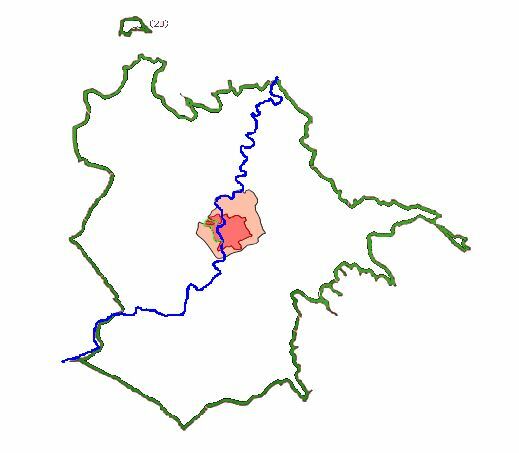 Shown in the settlement pattern maps below, initial growth moved north and east from the historic center outside the city walls. This is mainly to avoid hilly terrain to the west, and marshes to the southwest and the historic ruins to the south of the main city. After Stazione Termini was built in 1874-85, a wave of settlement occurred in this area east of the urban core. Many thoroughfares were built at that time, especially to house the many government buildings being built after Rome assumed its new role as capital of the newly unified Italian state. 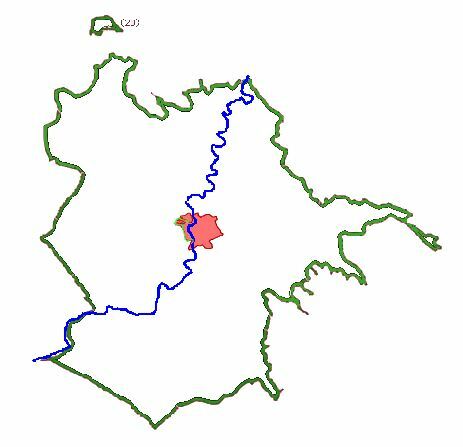 Urban Settlement at Unification in 1871 (shown in red). Modern day Rome boundaries are in green for comparison purposes. (Karabenick, 1963) Click for larger image. 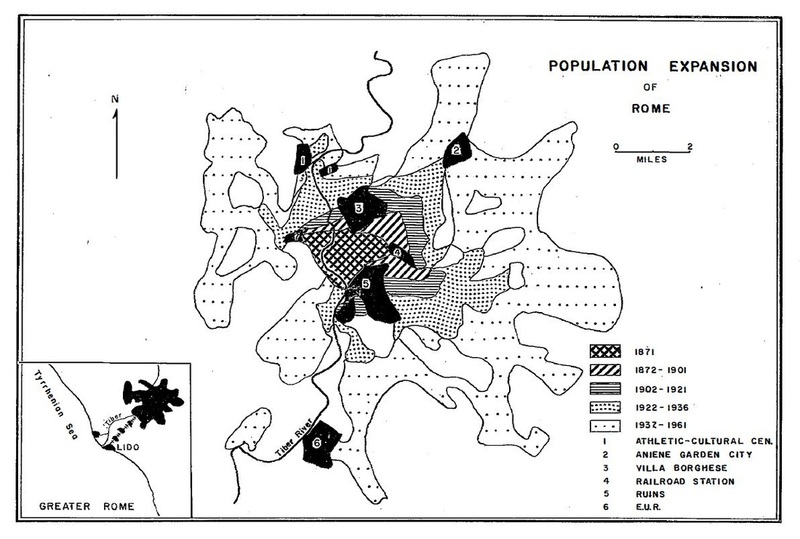 Urban Settlement pattern by 1911 shows start of expansion (shown in red & light pink). Modern day Rome boundaries are in green for comparison purposes. Pattern of expansion by decade from unification to 1960s. (Karabenick, 1963) Click for larger version.